Quests, Achievements, Honours, and Such. 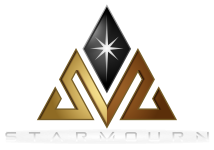 Let me open this post by saying that I am glad for the amount of quests and honours you can receive in Starmourn. The fact that you can probe things or that there are prompts on what syntax to use is amazing; syntax-hunting has always been the biggest frustration of questing in traditional IRE MUDs. With that said, I think it would be great if you could "publish" the fact that you've completed a quest or achieved an honour. Not like in other IREs where you earn a special line in your HONOURS <person> (not all quests really deserve that recognition), but something like a QUEST LOG <person>. I do realize that that might be too much to be public knowledge. There are some shady quests that I don't want people to know I do, for example. But what if we can QUEST <#> PUBLISH, for the period of maybe 24 hours (1 in-game month), people can QUEST <#> <yourname> and the game would confirm that you have, indeed, done that quest? There is no known record of Mereas completing this quest. Mereas has completed Quest #1: <title of the quest>. It could even be expanded to allow HONORS STATS items to be published (HONORS SCOOPED GAS PUBLISH, or something). The reason I ask for this is because it'd make it infinitely easier to track these things and reward them within the faction. Song, for example, has a reward system for completing certain tasks, and we've mostly stayed out of questing-related ones because there's no real way to confirm (and thus reward) them unless you have at least two people (the quester and the evaluator) sit down for the whole duration of the quest.